This recap will be brief due to the Holiday. Lets make this one fun. Everyone have a happy and safe Thanksgiving! Chris Conner scored first for the Penguins giving the Pens a 1-0 lead just before the two minute mark of the first. Ebbett and Sutter both got assists. 5:01 into the period Despres took a interference call that would put the Leafs on the powerplay. 8 seconds into the PP, James van Riemsdyk would score to tie the game 1-1. 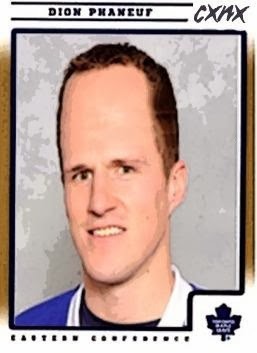 Dion Phaneuf would get the first assist and his forehead got the second assist. 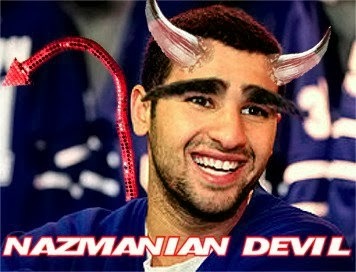 11:41 seconds into the period Nazem Kadri would score to make it 2-1 for the Leafs. Here is a shot of Kadri after the goal..
That would be it for the first period. 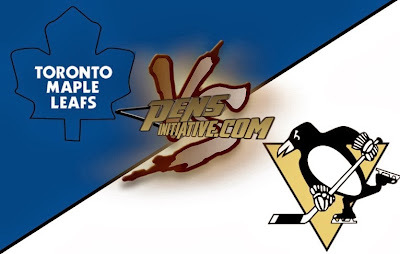 The leafs would go into the first intermission with a 2-1 lead. 13 seconds into the period Van Riemsdyk would score his second goal of the game increasing the leafs goal to 3-1. It is his 11th goal of the season. 31 seconds later Pin Up model Phil Kessel would increase the Leafs lead with a snap shot. Luckily for the Leafs, nobody could blow a 4-1 lead, right? RIGHT?!?! Here is what Phil had to say..
Carl Gunnarsson would take an interference call against Kunitz at the 8:17 mark of the period and The Pens would make them pay. 10 seconds in Malkin would score his 5th of the season. Letang(2) got an assist and so did Crosby(19). Peter Holland would take a call 14:45 into the period putting the Pens on another PP. Not long into the PP Kris Letang would score his 5th of the season as Pens fans everywhere praised their favorite blue liner. Assists would go to Neal(7) and Kunitz(12). The bad news was with 5 seconds left in the Period the Leafs would push back a little when Tyler Bozak would score to increase the buds lead to 5-3. The good news is that this was the last shot on goal until the shootout. Yeah, there is still another period and an overtime period. You can LOL at the Leafs. 3:46 into the period Neal would score on the PP to crawl closer to the Leafs making the score 5-4. Malkin and Letang both were credited with assists. 7:41 into the 3rd Malkin would tie the game 5-5. Crosby and Kunitz both got assists. LEAFS STILL HAVEN'T GOTTEN A SHOT. we managed not to get scored on early in OT this time. 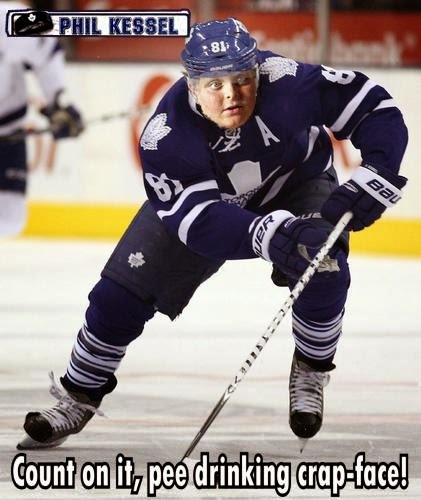 I credit that to THE LEAFS NEVER GETTING SHOTS! Pens got 2 shots but couldn't score.. We are headed to the shootout. Both Sid and Geno would score in the shootout and the Leafs would get shots on net but not score. Zatkoff did it! PENS WIN! Letang got 3 points (1G;2A)and only turned over the puck one time. We love him, right?! Pens were 3-5 on the PP and 1-3 on the PK. The Pens next game is Friday at 4pm in Tampa Bay. Don't follow Ryan Noble on Twitter.